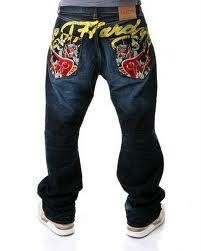 Jeans, made from the material “jean”, were originally worn by sailors from Genoa in Italy in the 1700's. The word “denim” came from the name of a sturdy French material, serge de Nimes : serge (a kind of material) from Nimes (a town in France). 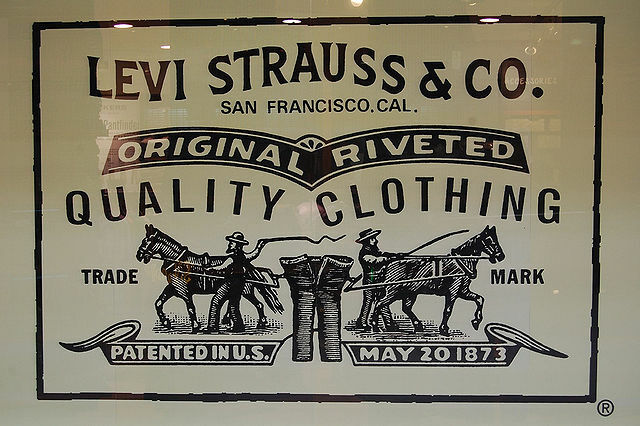 Jeans as we know them today were invented by Jacob Davis and Levi Strauss in 1873. That year, the two men received the US patent for their pants made with copper rivets to reinforce the points of stress, such as at the pocket corners and bottom of the fly. They began manufacturing these sturdy, riveted pants which soon became the de-facto standard for miners and factory workers at the time. 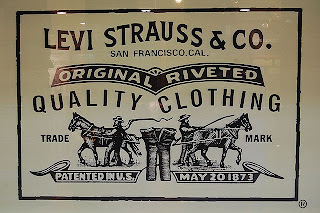 Denim jeans became popularised in the 1930's thanks to cowboys wearing them in the many western movies that came out of Hollywood in the period. In the 40's rival companies like Wrangler and Lee appeared. Then in the 50’s denim became popular with the youth as a rebel symbol thanks to TV and movies like Rebel Without a Cause with James Dean in 1955. In the 60’s jeans were the pants of choice for uni and college students and thanks to the hippie movement, embroidered, painted and psychedelic versions emerged. In the 80’s designer labels started appearing and acceptance of denim jeans became widespread - everyone who was anyone had to own them. Since that time it would be fair to say no gentleman’s wardrobe is complete without at least one pair of denim jeans. Raw denim is denim in its purest form. Unwashed after being dyed during production, it is dark, stiff and very durable. It fades with wear in certain areas, creating a natural distressed look over time. It also fades with washing. A pair of raw jeans will take weeks or months to break in, but when the fabric finally does relax, it will adapt to your body. No two pairs of raw jeans will wear exactly the same. If you want a high-character, personalised garment, raw denim is the gentleman’s choice. If comfort trumps fit and style (and we’d suggest it never should - they should go hand in hand), then treated denim can be suitable. Pre-washed and pre-distressed, in theory they are already broken in and won't stretch or shrink with subsequent washes. Selvedge denim is on the top shelf of the denim family, and as such the Style Magnate is a big fan. Derived from the two words self and edge, it's a reflection of how the seam edge is also the natural edge of the cloth from which it is woven. It identifies a superior quality denim - manufactured using more threads making it heavier and more durable. There is usually a woven stitch, often red, further defining the quality and make of the fabric. 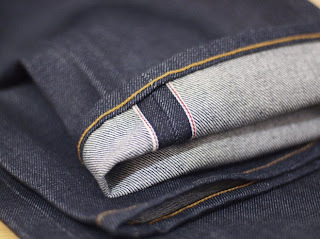 Japanese selvedge denim has a reputation as being the best denim in the world. Originally unique to the women's domain, stretch versions of denim have become commonplace for men as well. It's mostly about comfort, and in the case of form-hugging skinny jeans, it's also about practicality. Adding 1% to 2% of spandex to the denim is enough to give it a softer, stretchier feel. 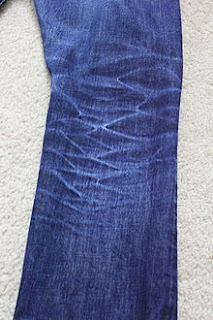 Jeans also come in 3 basic rises - low, medium and high. Shorter guys - go for a tapered fit. Stay well away from baggy jeans. Heavier guys - go for wide-leg, straight-leg or slightly boot-cut shapes. 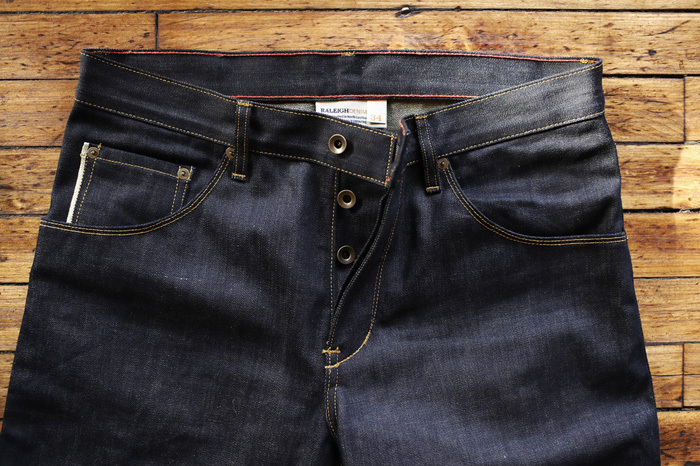 Steer clear of tapered fit or skinny jeans. Athletic builds - you may need to go for a wide-leg, but make sure they're not too loose, you still want to draw attention to your toned body. Unless you’re slim or athletic, avoid low-rise jeans (the muffin-top isn't flattering for anyone). The cuff - If you’re taller, go ahead and roll em up an inch or two, or more. Especially if its selvedge (then everyone else can see it's selvedge too). But if you’re on the shorter or chunkier side, they should stop right on top of the shoe-line. The Style Magnate wouldn't be seen in high-waisted jeans, no matter the body type. Give the skinny jeans a miss too. If Bond wouldn't wear them - you shouldn't either. In general - avoid washing them too often. 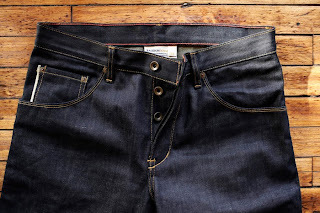 For raw denim, many recommend waiting 6 months but we’d suggest you try going at least a few weeks before the first wash. And wear them as much as possible in that time. The idea is, the longer you wear them without washing, the more character and attitude they will acquire. And any whisker (crotch), honeycomb (knees), stack (above the feet) or train track (on the outside seam) fade patterns will be in just the right places for your body. During this time rub with a damp cloth if you need to remove stains. In the event of any odour, hang them outside on a sunny windy day. Or turn them inside out and shake them well. When it’s finally time to wash your well-worn jeans, turn them inside out, button and zip, and wash at 40 or 60 degrees Celsius. Stretch the inseam while the jeans are damp. Hang dry - don’t tumble. If you wash the jeans too early, the indigo will bleed out over the whole garment, producing a characterless, even, dark indigo colour. For treated denim, again, wash them as little as possible. Like when they’re stained. Or have lost their shape. If they begin to sag in the knees and seat, washing will tighten the yarns, helping the garment regain its original form. Denim jeans + denim jacket. Actually this isn't strictly a mistake, but unless you're a cowboy, it's risky. If you must, make sure the denims are different shades - probably a darker jacket than the jeans. This has been inappropriate since 1997. May as well tuck in your shirt, don a belt and clip your mobile phone to your hip. We assume you already know that. If not, we have our work cut out for us. I suggest you reach out to Jenny immediately. Denim jeans remain a versatile and stylish staple of every gentleman's wardrobe. The keys to getting it right are fit - knowing your body shape and choosing accordingly, and understanding the fabric.